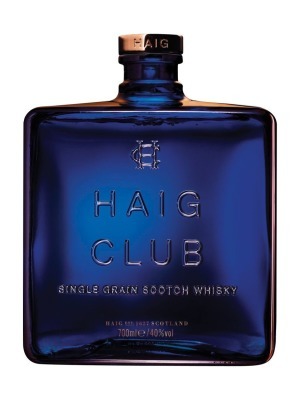 Haig Club Single Grain Whisky is a popular Whisky available from Amazon.co.uk in 70cl to buy online. Visit Amazon.co.uk for the best price for 70cl of Haig Club Single Grain Whisky or compare prices on our other Whisky products. The Haig Scotch Whisky brand goes back to the 17th Century and this newly rejuvenated brand is a classic Single Grain Whisky distilled in Cameronbridge, Fife. Beneath the stylish blue bottle is an extremely quaffable drink, with notes of citrus. Many tasters recommend drinking over ice, rather than neat in the glass. Although the latest David Beckham Whisky endorsement may seem to have style over substance you'll be surprised at this approachable drink. Notes: Drink neat or over ice to enjoy the full flavours that bring out the lemon and oak notes of this future classic. Where to buy Haig Club Single Grain Whisky ? Haig Club Single Grain Whisky Supermarkets & Stockists. You can buy Haig Club Single Grain Whisky online in most retailers and find it in the Whisky aisle in supermarkets but we found the best deals online for Haig Club Single Grain Whisky in Amazon.co.uk, DrinkSupermarket.com, TheDrinkShop, Waitrose Cellar, and others. Compare the current price of Haig Club Single Grain Whisky in 70cl size in the table of offers below. Simply click on the button to order Haig Club Single Grain Whisky online now.